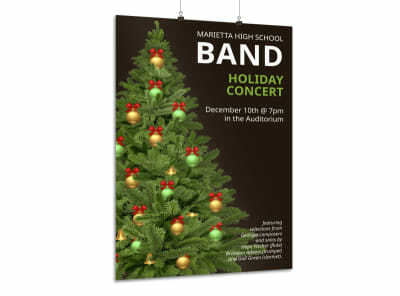 Customize our Christmas Concert Poster Template and more! 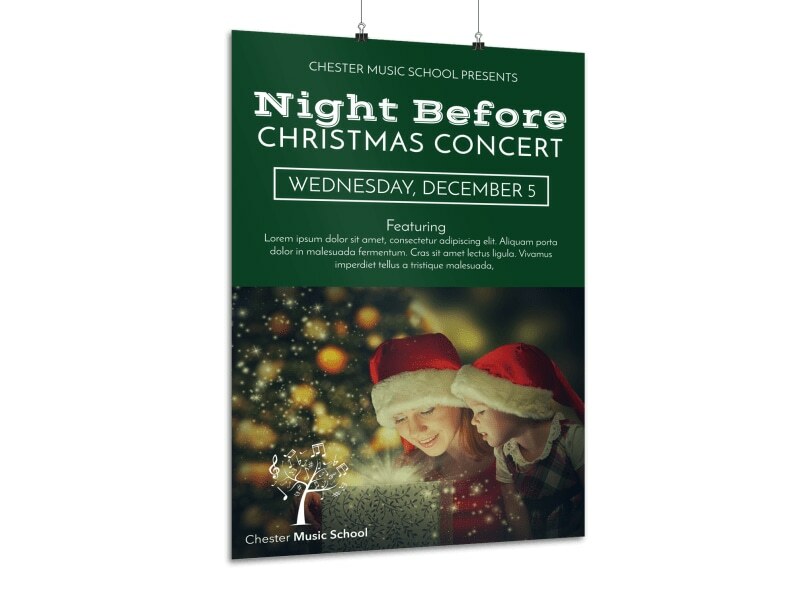 It’s the most wonderful time of the year for concert goers, so let them know about your upcoming Christmas concert with this custom poster. 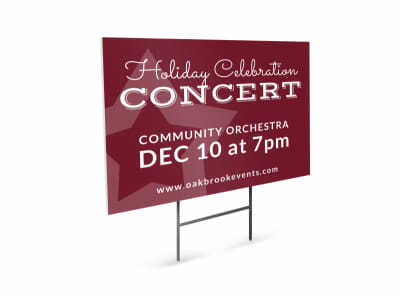 Include a full-color shot of the main attraction or headliner, and then add text detailing the event’s 411. Get busy on your design now, and have it ready for printing in a matter of minutes.